Type a city, product or activity into the box below for a statewide search. 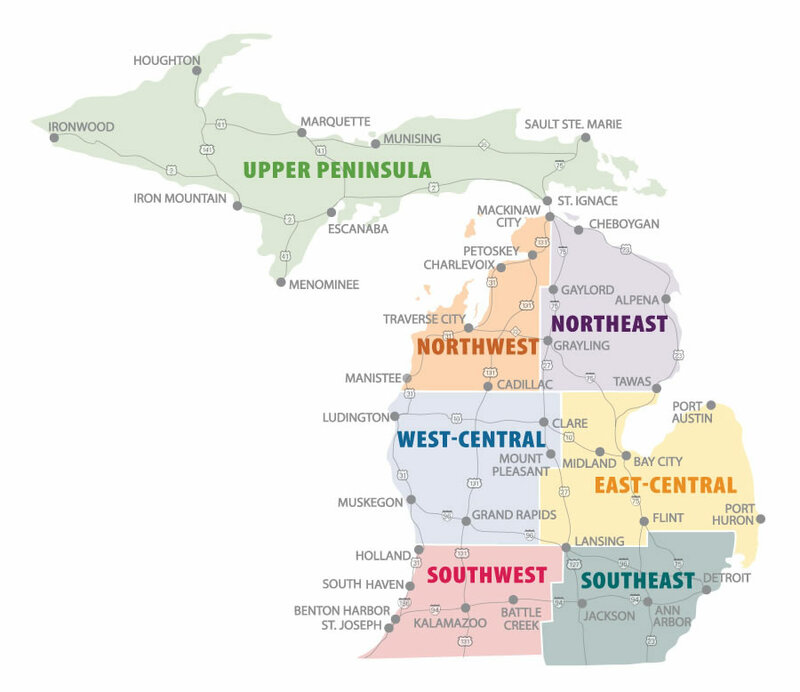 Visiting a specific part of Michigan? Type in the box and select a region on the map. Not sure where to start? Try our Explore Your Interests page. Need search tips? Visit our How to Use This Site page.